During the summer we grill quite often, at least three or four times a week. We grill steaks, burgers, ribs, fish, all kinds of vegetables and lots of chicken, either bone-in or boneless, we really don’t discriminate. When we first started grilling bone-in chicken it took us a very long time to get it right because it would usually be dry and burnt on the outside while the inside was still bloody and raw. It was a mess! 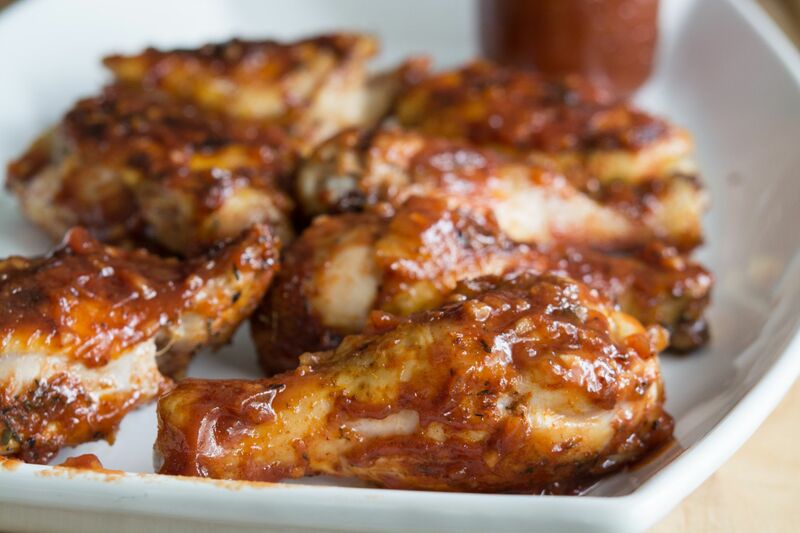 Then, one day as I was making my delicious BBQ ribs I thought, “Why don’t I make my BBQ chicken the same way?” So, that’s what exactly what I did. I seasoned the chicken really well, baked it in the oven until I knew it was done and then I grilled it for a few minutes with BBQ sauce to perfection. And by the way, if you haven’t tried the recipe for those BBQ ribs you should because they’re insanely delicious! Since then, we have learned how to cook chicken directly on the grill until it comes out perfectly roasted on the outside and fully cooked on the inside. It’s a bit time consuming but quite easy and I promise I will also write a post on how to make it one day. 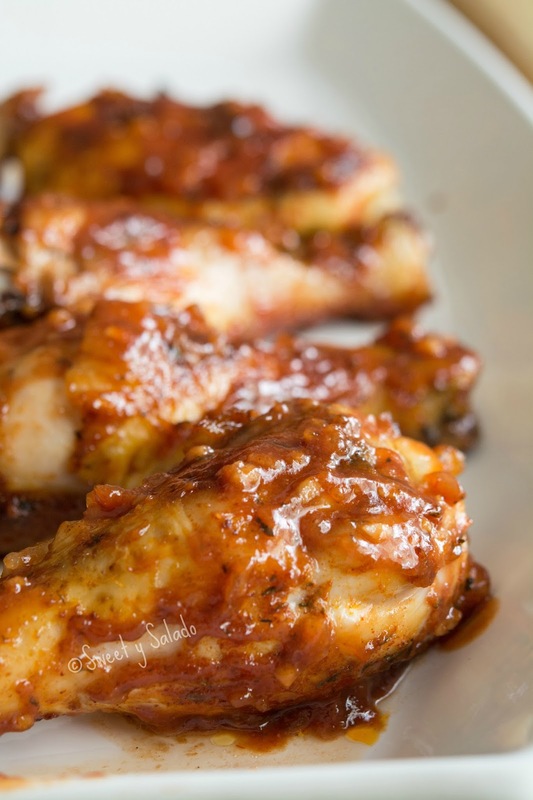 To make this recipe you can use any BBQ sauce that you want. 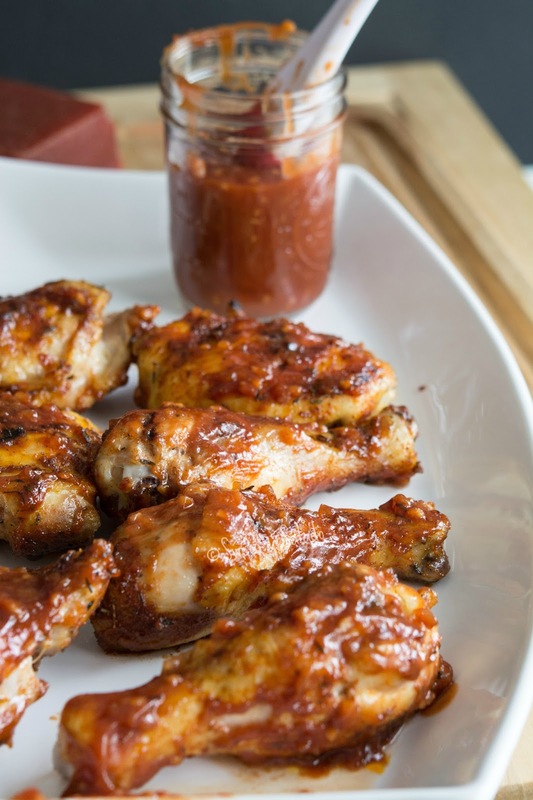 I usually try to make mine at home a few days in advance and I have a couple of great recipes on the blog if you want to make them yourself (BBQ Sauce & Guava BBQ Sauce). But, if I don’t have time to make it or I simply don’t feel like making it at home, I just grab a bottle from the grocery store and it still comes out tasting fabulous. Pre-heat oven to 400ºF (204ºC). Mix all the dry ingredients in a small bowl and set aside. 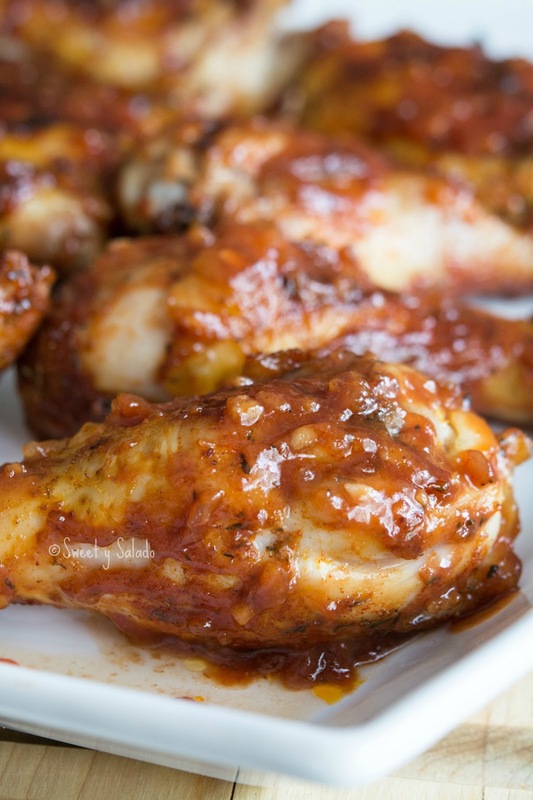 Pat dry the chicken pieces with a paper towel and place them in a baking dish. Season all sides of the chicken with the dry rub and bake for about 45-50 minutes or until the internal juices run clear. Meanwhile, pre-heat grill to medium high heat. Once chicken is cooked in the oven place it skin side down on the grill and coat the backside of the chicken with BBQ sauce. Flip the chicken over after 30 seconds and coat the skin side of the chicken with more BBQ sauce. Repeat this process 4-5 times ending with the skin side up. Serve immediately. If you want the chicken to have a crunchier skin, you can sear it on the grill for a few minutes before covering it with BBQ sauce.